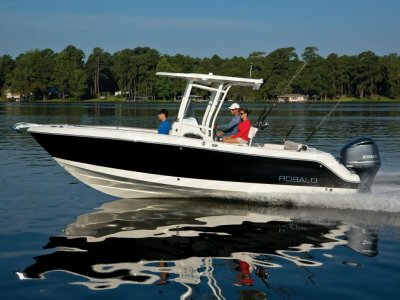 Robalo R247 Crossover; arguably the world's best multi-purpose boat with an incredibly flexible cockpit design and an award winning Hydro-Lift hull that crosses all boundaries and ticks every box! 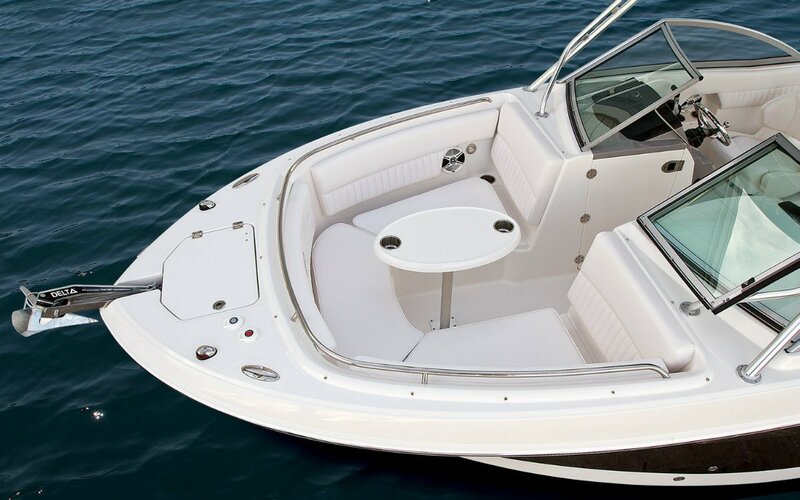 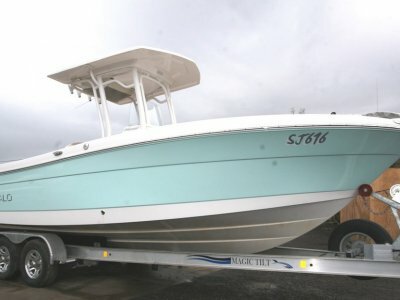 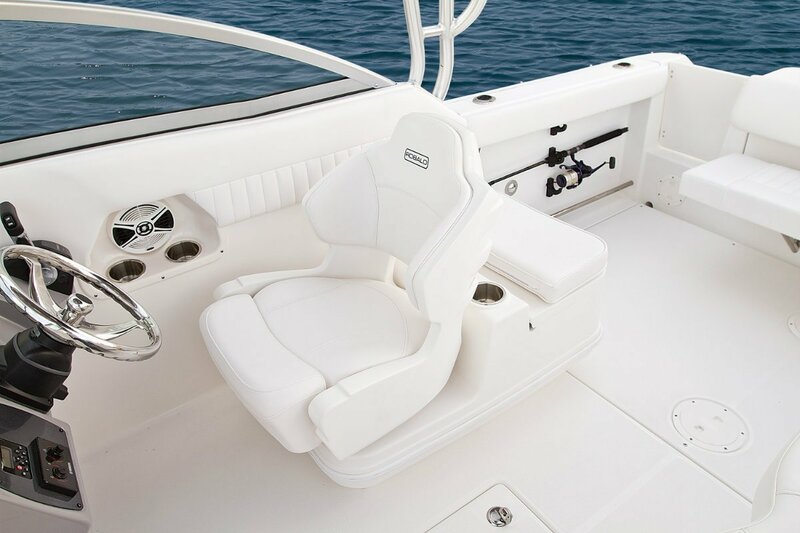 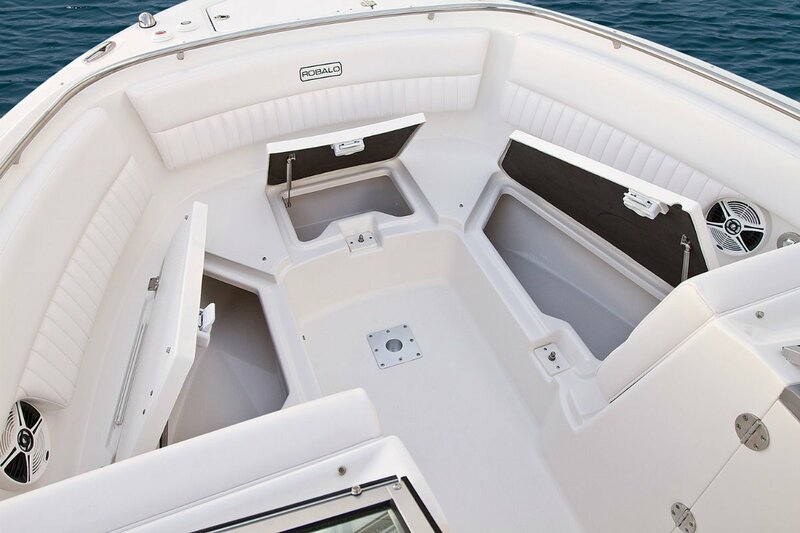 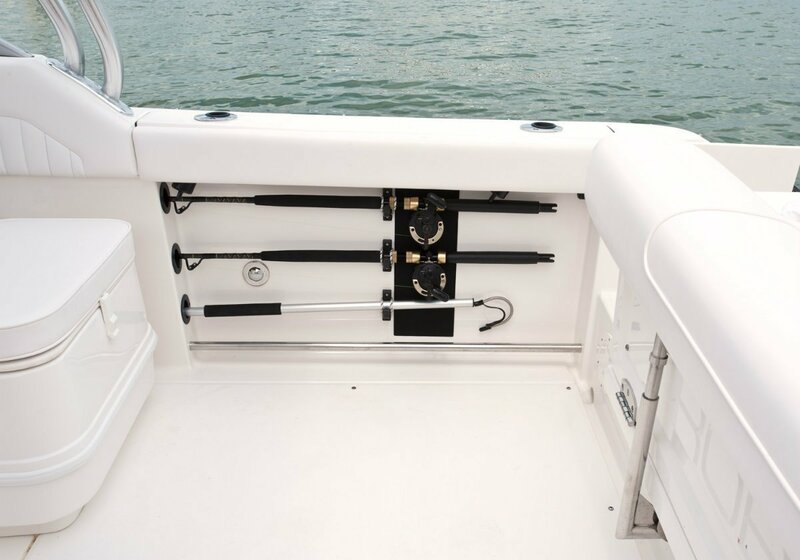 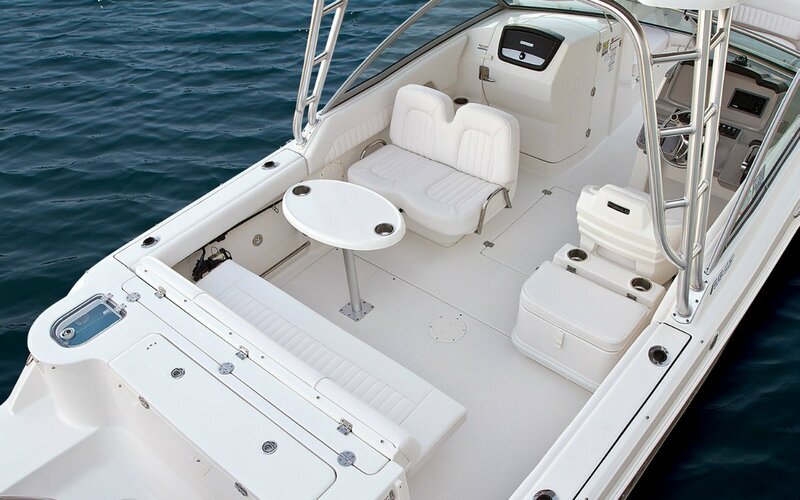 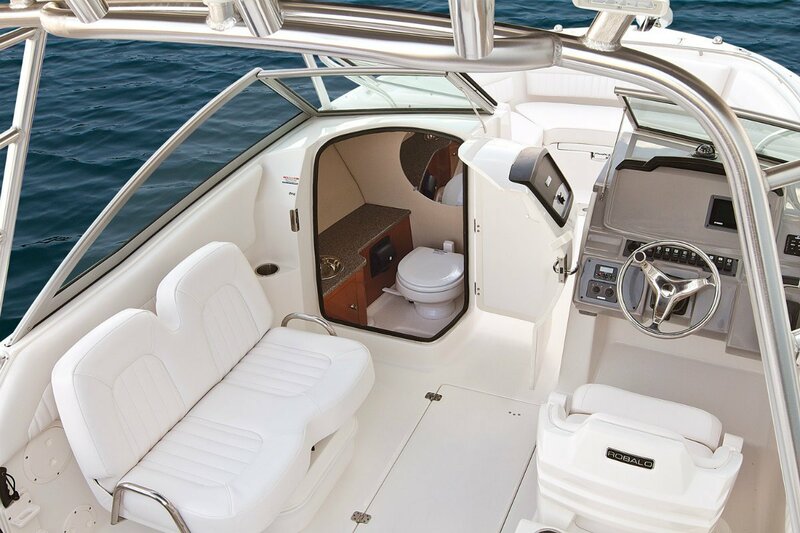 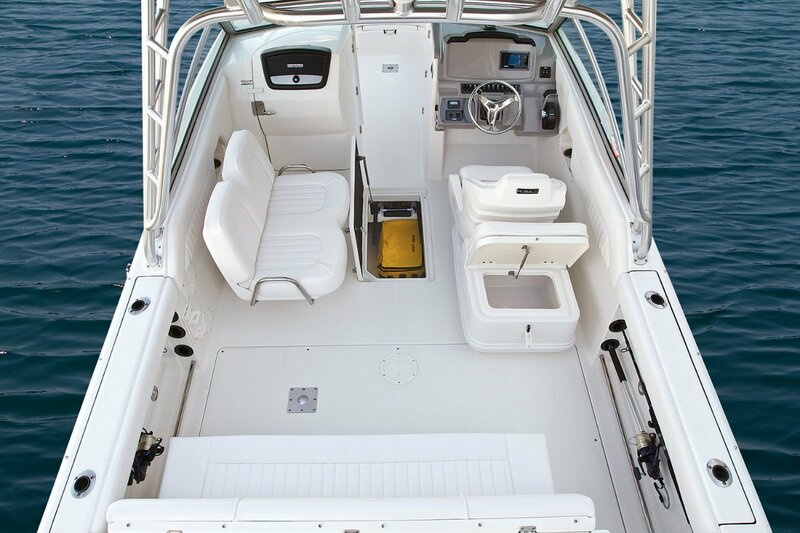 Let's start with the layout: multiple seating options with the double wide swivel helm seat offering three positions, the fold up rear seat adds to your seating options and neatly folds away for fishing up to the transom, the bow area is huge and can be set up as a forward casting platform, the standard head and optional wet bar enhance the cruiseability while the big kill tanks, self draining decks, rod storage, and optional live bait tank & tackle storage take care of the fishing. 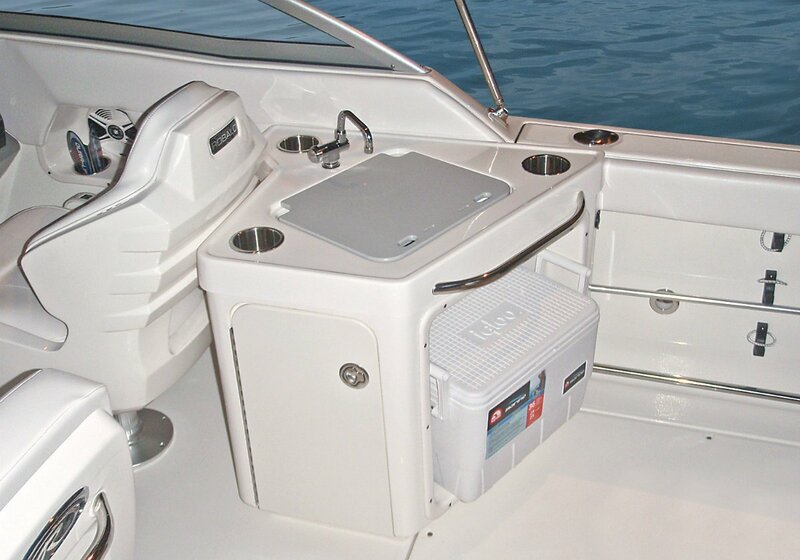 Storage abounds with every nook and cranny utilised to its fullest. 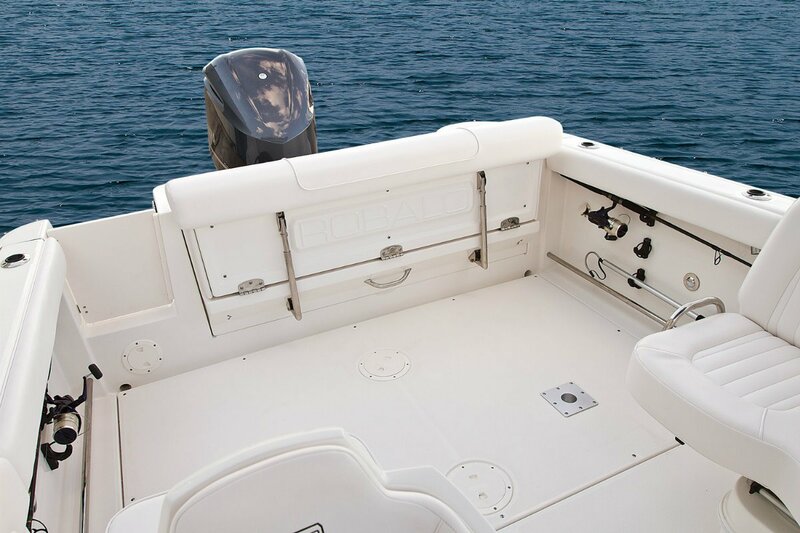 The hull itself is beamy, soft, stable and dry riding with excitingly accurate handling, perfect for throwing kids around on tubes or for blasting through a rough bar entrance on the way out to do some serious fishing. 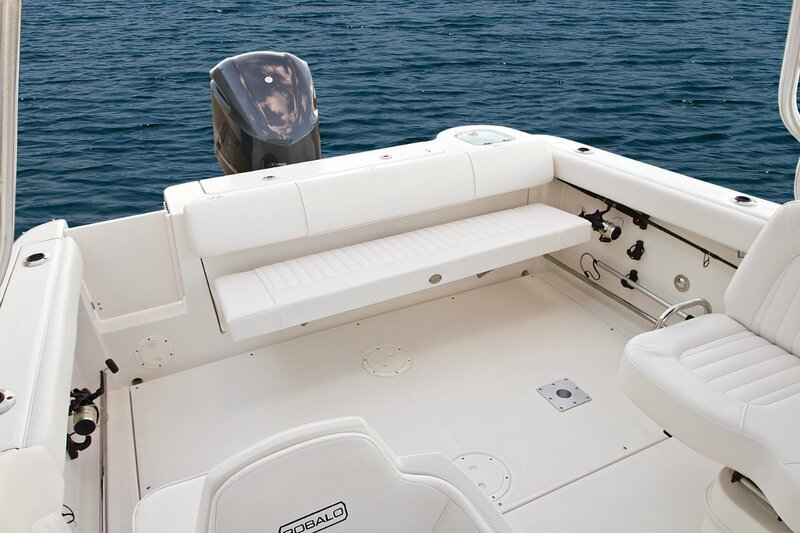 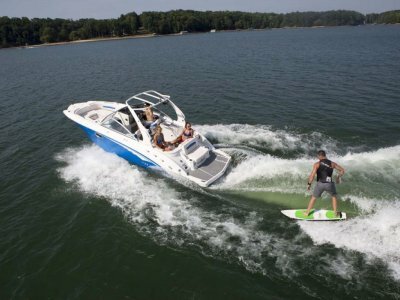 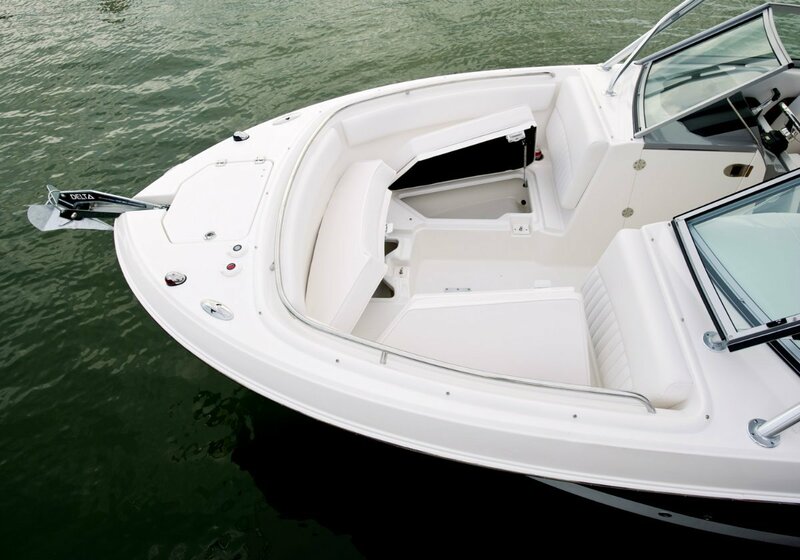 Options such as the hard top, vacuflush head, electric anchor winch and single or twin engine transoms up to 400HP give you the choice of how to set up your ultimate ride. 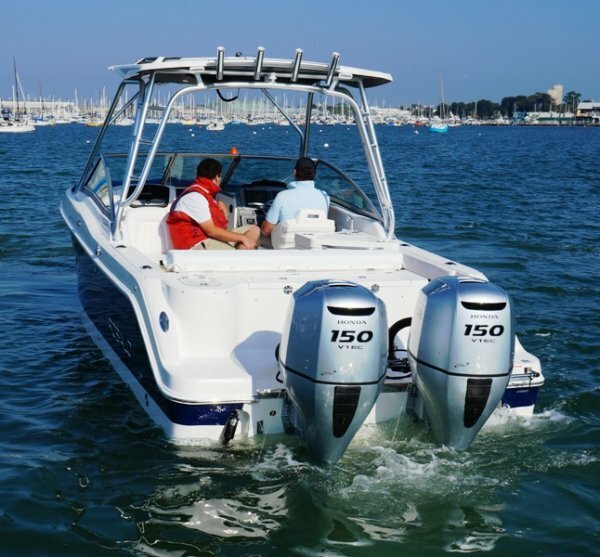 The massive 473 litre fuel capacity keeps you going for days and even with twin motors, full fuel tanks and heavily optioned the boat comes in under the magical 3500KG tow weight limit for most big four wheel drives. 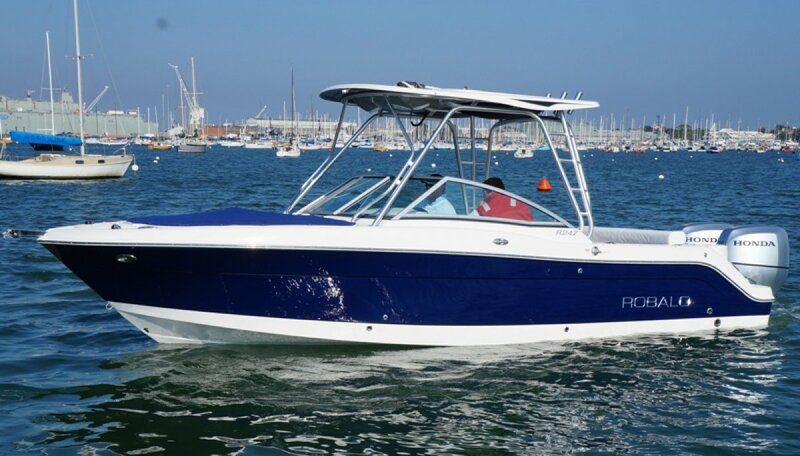 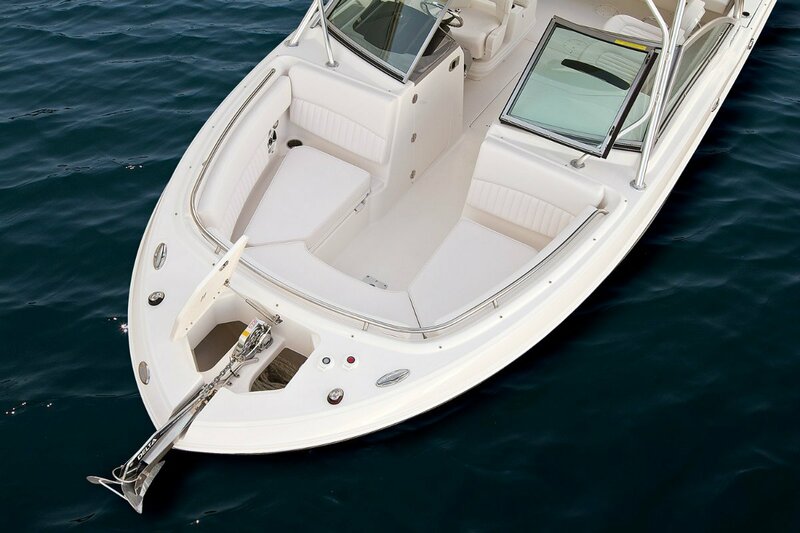 Priced here with single 300 HP outboard and tandem aluminium trailer we challenge you to find a better value multipurpose boat that covers off both serious and fun in the same sentence, go on take a look, your family will love you for it!